Yakima Pediatrics is excited to inform the CHCW family of the opening of the Teen Health Clinic! Teens and young adults need special medical care. They also need a doctor they feel like they can talk to about anything, for example, questions about their health or illness; sexual concerns and emotional problems. Parents need support and guidance through these years too. Yakima Pediatrics Teen Health Clinic offers routine health care to all patients ages 13-18+ years in a safe and relaxed space. We want to work with you and your family to meet all of your health care needs and to help you make the best choices for a healthy future. The Teen Health Clinic is open Wednesday and Thursday afternoons from 11:30am-8pm. We offer all primary care services with a special focus on reproductive and sexual health, as well as mental and emotional health evaluation and support. The Teen Health Clinic offers teens the opportunity to see and be treated by a doctor or nurse practitioner. Washington State law permits that some services are offered to teens privately. We ask parents to leave for part of the interview, for confidentiality and to build trust. We also encourage the teen to discuss important issues with parents. It is important to know that if your teen is doing anything to hurt themselves or others, or if someone is hurting them, we will be forced to break confidentiality. We want to encourage teens to seek health care when they feel they are in need. Our goal is to assist teens and families with this time of change. We want to help strengthen relationships among teens and families. Our team of providers and services can help bridge the gap that we know exists, and help you deal with the questions and concerns of teen reproductive, sexual and mental / emotional health. Finally, we believe the Teen Health Clinic will help support CHCW’s goal to provide “access to quality healthcare through service and education.” Teens and parents of teens have special health care needs. Our clinic is here to help you. 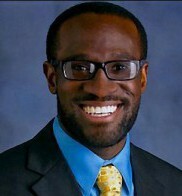 Dr. Asante got his Doctorate of Medicine from University of Pittsburgh School of Medicine and did his residency with the University of WA at the Seattle Children’s Hospital. He will be piloting the Teen Health Clinic.